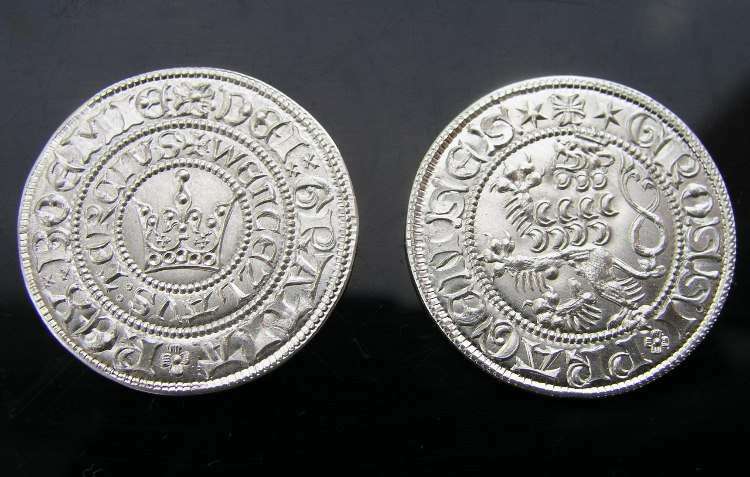 Coin replica Prague Groschen of Wenceslas IV. minted from aluminum from hand-engraved dies. Diameter 25 mm, thickness 1 mm.